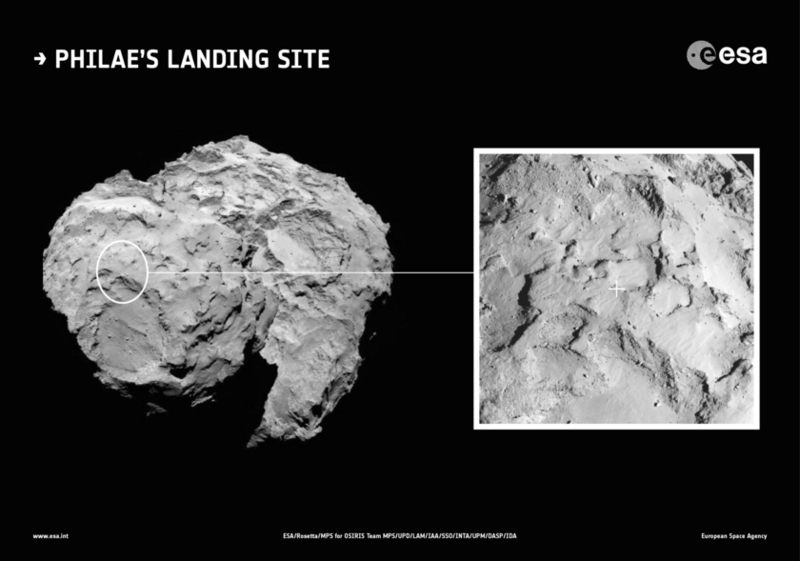 Rosetta NavCam and OSIRIS views of the selected primary landing site for Philae. The Navcam image of the whole comet was taken on August 16, 2014 from a distance of 100 kilometers; the comet is about 4 kilometers across. The OSIRIS image was taken on August 20, 2014 from a distance of 67 kilometers. The "+" marks the center of the landing site; the square is about 1 kilometer on a side. The site was named "Agilkia" in a public contest. This 3D model of comet Churyumov-Gerasimenko was derived from OSIRIS image data. It is color-coded according to how much sunlight reaches the surface, where red is continuously illuminated, yellow is intermediate, and blue is often shaded. Site J, on the "head" of the comet, is the primary selected landing site, and Site C is a backup. Although a primary site has been selected, landing Philae successfully is going to be tough, and the mission is now working to manage people's expectations. At the press briefing, Rosetta's project manager Fred Jansen acknowledged that they would have had only a 70 to 75% chance of landing success if the comet were closer to spherical; the distinctly two-lobed shape makes navigating the lander much harder. Just how much harder, Jansen didn't say. In his article for BBC News, Jonathan Amos quoted Jansen as saying only "At the end of the day, you'll only know when you land. Then it will have been either 100% or zero. That's the way it is." They have no control over the trajectory of the lander once it separates from Rosetta; once they release it, it will land wherever gravity takes it. If Philae fails, there will still be fantastic science return from Rosetta. Since my last update, the ESA blog has posted several more stories about science results from different instruments, including dust tracking by GIADA and water vapor, ammonia, and methanol detected by MIRO. 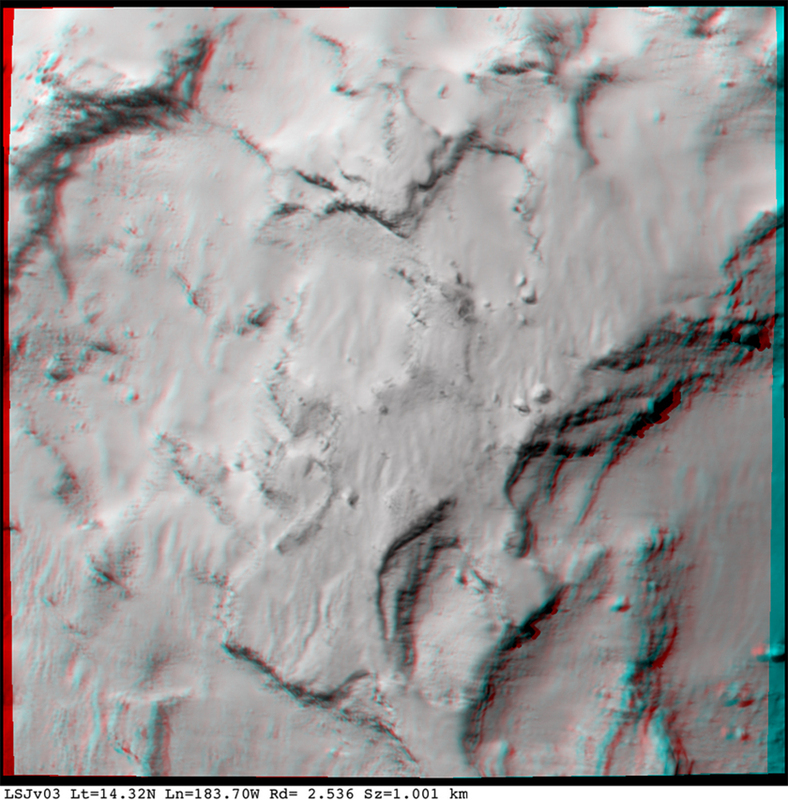 Here's a closer, 3D look at site J (grab your 3D glasses or click on the links below for different ways of seeing the stereo). Amateur image processor Mattias Malmer wasted no time in turning this 3D image into a shape model and even shared this shape model in .obj format -- anybody want to 3D-print their own model of the landing site? On September 15, 2014, the Rosetta mission announced the selection of a site on the comet's "head" for the landing site for Philae. 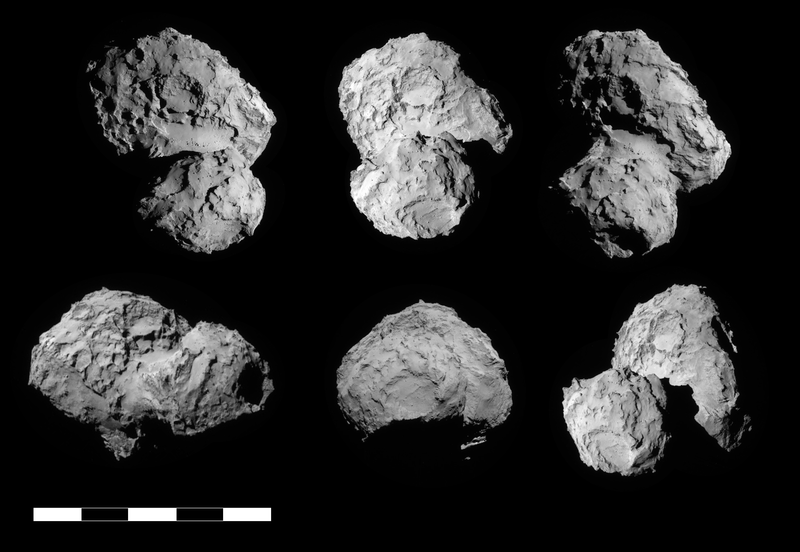 These six views of the comet show the landing site from different angles and with different solar illumination conditions. The yellow boxes correspond very roughly to the extent of this 3D image of the landing site. You can also view an unannotated version of this photo. The scale bar is 5 kilometers long. Site J was not exactly the best landing site; it's more accurate to say that, given all the constraints, Site J was the least bad option. In the European Space Agency press release about the landing site selection, Philae project manager Stephan Ulamec stated "The comet is a beautiful but dramatic world – it is scientifically exciting, but its shape makes it operationally challenging....None of the candidate landing sites met all of the operational criteria at the 100% level, but Site J is clearly the best solution." What made Site J the least bad option? According to an update posted at the CNES website, sites A and I were almost immediately dismissed because they failed to meet many of the safety and science criteria. One thing that made Site J attractive was the relatively low amount of local slopes greater than 30 degrees; with steeper slopes comes a risk of Philae tipping over during landing. Philae would likely be able to do some science if tipped on its side, but none if on its head. Site J also seems to possess fewer large blocks than the other sites. It receives enough sunlight for Philae's battery to stay charged, lengthening the period of time over which it can gather science data from days to weeks, at least in theory. And landing simulations show that the lander will hit the comet at a speed of 0.95 meters per second, which is well within the lander's operational limits. All of the NavCam images of comet Churyumov-Gerasimenko taken between August 5 and August 22, 2014 have been organized according to their geometry and labeled with the five selected landing sites. (Labels were drawn by Emily Lakdawalla and may contain errors. Do not use for spacecraft navigation.) All images have been resized to a common scale of 5 meters per pixel; the scale bar is 5 kilometers long. Circles drawn on landing sites are 1 kilometer in diameter. An unlabeled version of this mosaic is available here. With A and I out of the running, the list was narrowed to B and C. They selected C over B because C had better illumination conditions and lower numbers of potentially hazardous blocks. However, the CONSERT instrument team (which plans to perform radar sounding through the interior of the comet between orbiter and lander) was strongly opposed to site C as an option. The CNES update quotes CONSERT principal investigator Wlodek Kofman as saying "If you go for C, we're out!" However, he later said that their experiment could be conducted at site C if special Rosetta trajectories were designed to accommodate the needs of CONSERT. For a lot more detail on the landing site selection and the rationale behind it, you can watch the ESA press briefing or read Jonathan Amos' excellent report. Gotta admit, I was hoping for A, just for the view. But I suppose I would choose a safe landing over an aesthetically pleasing crash. Maybe they could be kind enough to land on that peak overlooking the large "crater"
Is there a concept of a landing ellipse? How accurately will they be able to place the lander? 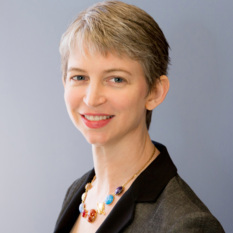 Hello and thank you for the blog post. I have none of the qualifications to back up this remark. But... Ethanol, I saw you put quotes around the word "crater", and this is really understandable. In other documents talking about depressions on 67P, the word "pit" appeared. One could maybe say "caldera". Nobody knows until it "erupts" (or not). It will be easier to designate these things when it is seen how they behave near perehelion. For the moment, it is understandable that ESA hesitates to give names to features. Let's hope that even temporary names are attributed to give us a common vocabulary. After "Rosetta" and "Philae", I understood that they were planning to continue with an Egypt-oriented vocablary. If not, then informal words will continue to appear (head... neck...body). So whoever names the landing site may be thinking of the rather obvious "Sphinx" so "Gizeh"... Just hinting to any ESA people here! PS (following my above remark about names). The Sphinx of Giseh was of course for the landing site J, on the head of 67P. After all a sphinx image is rather more flattering than that of the once-suggestd "rubber duck" with a maybe "Donald" option. I had posted this on the Rosetta blog, but haven't seen a suitable response. Let's assume that the lander lands exactly as planned and everything on it functions as planned to enable reporting back to Rosetta. Is the camera spatial resolution on Rosetta high enough for it to be planned to take pictures of the lander on the surface? If Rosetta gets to the ~10 km distance, would it be able to get a picture? If not, how large would the lander have to have been for it to be possible, or conversely, how low in orbit would Rosetta need to be to make this possible? Finally, we know the lander 5 or 6 cameras to take visuals of the surface, etc. Can the lander cameras be pivoted to take a picture of the glint off Rosetta's suitably rotated panels? What is your and your teams understanding? Have you heard anything from the Flight Dynamics team at ESOC, etc? Vincent: one of the images released from the OSIRIS camera (the high resolution one) was captioned as having 1.1m/pixel resolution at 62km, so if it makes it down 10 km, the 1m philae lander would measure 6 pixels or so across; enough to clearly identify, but not enough to make out much detail beyond the legs. Whether or not the lander succeeds, I imagine they will be snapping this picture. As to the reverse shot, Philea's cameras are at a fixed elevation, pointing slightly downward, but they can see a patch above the local horizon. 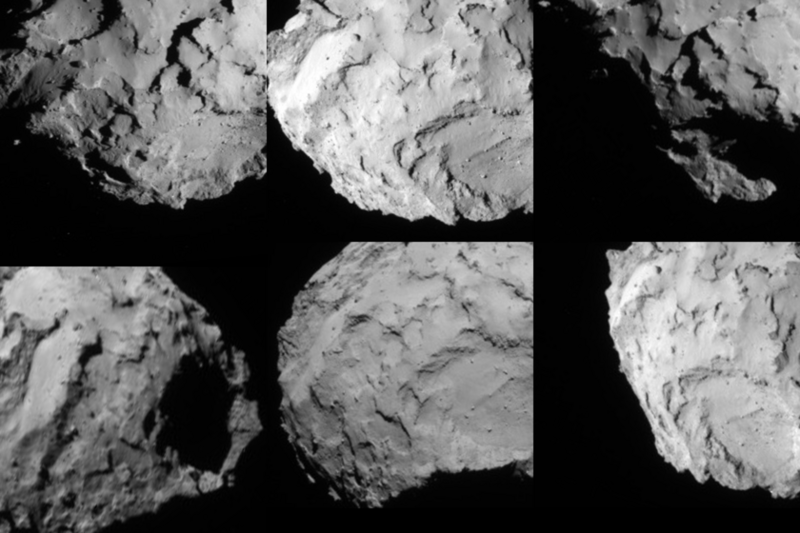 They are very wide angle but I imagine that a well-timed glint from rosetta could be seen. No guarantees on that shot though. Egypt-oriented naming for the spacecraft, but for the comet? Perhaps Ukrainian-Kazakh? Almaty sounds nice for the landing site since that is where the comet was discovered, but I am not sure its citizens would like to be associated with a risky landing. How about "Steppe" which is Kazakh and also puns with Neil Armstrong?